Welp, we made it to New Mexico. We checked in at the Visitor’s Center at Carlsbad Caverns National Park at a reasonable hour, after a decent night’s sleep. Go us! She asked us if we’ve visited any other caves recently and I was like, “Yes! I went to Mammoth Cave National Park!” I was feeling pretty cool, but it turns out they only ask because that means I may have picked up some weird disease that is lethal to bats, and I could be a spreader of that disease. Gross. “I was probably wearing all of the same things,” I replied honestly. Whatever. The clothes have been washed in the last few months. And they made us walk on a special mat at Mammoth when we got out of the caves for that exact reason. Basically, the ranger made me disinfect my camera with a wipe before we headed out. NBD. The ranger printed us out a ticket and sent us on our way, no payment requested. I looked down at the ticket: “Fee-free day.” Thinking maybe it was some sort of National Park holiday, I asked about this magical fee-less day. “It’s just because the elevator is broken.” Oh. Right. And here I was willing to pay for the entry AND hike 80 stories back to the top. We descend down into the caves. 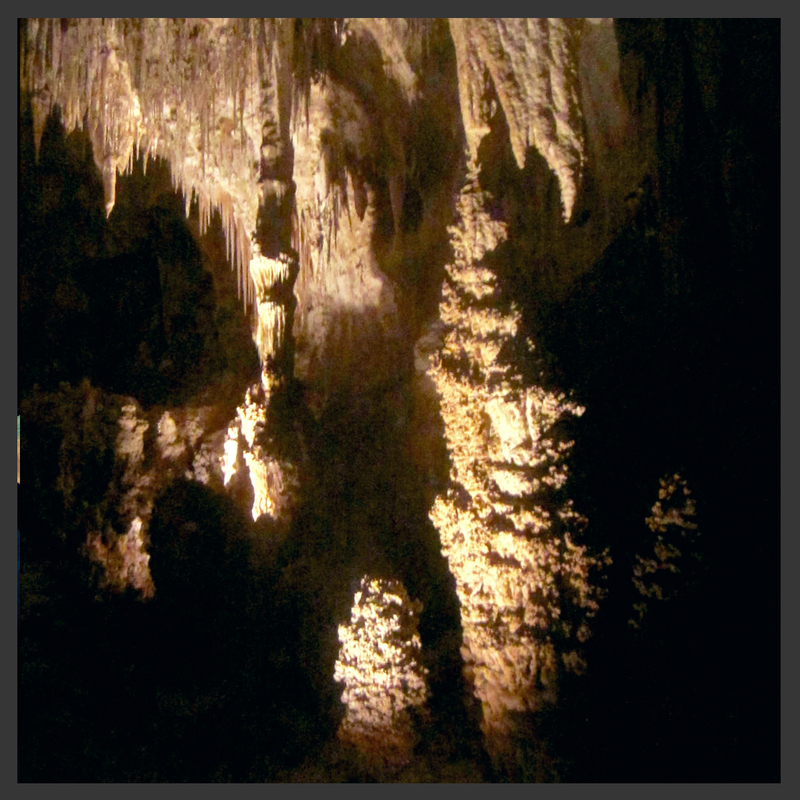 And we explore and explore and learn about stalagmites and stalactites. And we talk about how freaking cool it would be to have a party down there. Then we start re-naming all the formations to our own liking, and I decide that is a job that I would seriously enjoy, if such a job actually existed. We stop to talk to a ranger about half way down and she tells us to keep our voices down. She said everything echoes a LOT in the caves and she could hear us from a LONG way away. Oops. We then wonder if the bat cave guy heard our echo-y voices talking about him from deep within the caves. Also, we come across this sign, which we find hysterical. 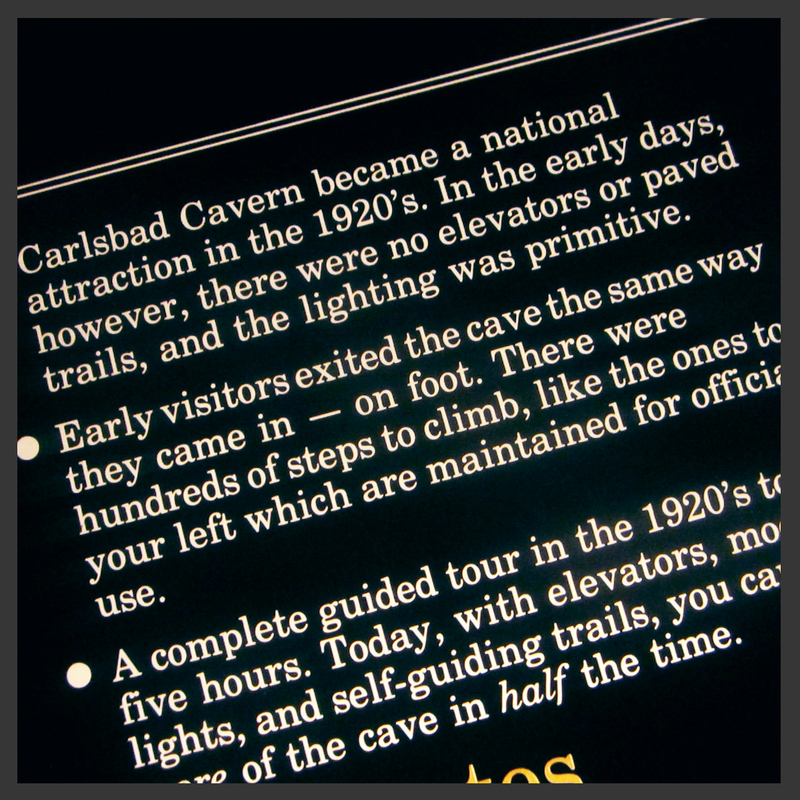 Because you know, there is no elevator and we are about to exit the caves the same way we came in… on foot. And the tour is probably going to take twice as long as it should. I’ve been meaning to exercise more anyway, so I figure the hike out will be good for me. As it turns out, 80 stories worth of switchbacks is like, a lot. And also, I should have been exercising more… before today. I actually felt bad for a lot of people who visited the caves that day (or that week, or however long the elevator was broken). A lot of visitors to National Parks are older and there is no way many of them would be able to make it back out should they decide to go all the way down. Also, the little kids. I can’t imagine having a fussy little kid that you end up having to carry up that incline. All that to say, that we made it. It was a struggle. And maybe we had to stop a few times to catch our breath. And maybe I (definitely) didn’t need to bring my gloves and jacket down into the cave, because by the time we made it to the surface, we were sweating. While my bro went to the restroom, I bought some over-priced Gatorade and we hit the road. Next stop: White Sands National Monument! Next story Welcome to Arizona!